The Brunswick County Sheriff’s Office and local police departments are working together to provide a safe alternative method for the disposal of unwanted medications. A FREE service for county residents who are caring for loved ones with Alzheimer’s disease, autism, or other conditions that make them likely to wander away from caregivers, or who have difficulties communicating with rescuers. The Brunswick County Sheriff's Office has a wonderful volunteer program, with more than 100 active volunteers serving in a wide range of areas. Click here for more information! 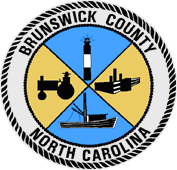 The Brunswick County Detention Center ensures that inmates confined in the Detention Center are provided the opportunity to visit with family, friends and professionals. Click here to schedule a visit. A FREE telephone reassurance service designed to enhance the quality of life for older adults, or adults with disabilities, who live alone or who are at risk of sudden illness, falls, and/or social isolation. 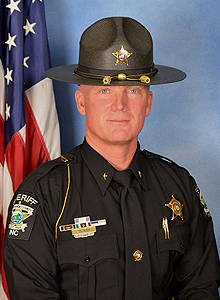 The Brunswick County Sheriff’s Office believes in the dignity and worth of all people. It is the duty of our office to safeguard lives and property as well as to protect the innocent from becoming victims of deception and oppression while always respecting the people’s constitutional rights. As a nationally accredited law enforcement agency, we are dedicated to providing the safest environment and the highest level of service possible with the goal of improving the quality of life for all citizens of Brunswick County. Through innovative leadership and a partnership with those whom we serve, we are dedicated, capable and well prepared to enforce all laws, deter criminal activity, protect and serve the citizenry and maintain order at all times.